There were some who thought that the Apple Watch would prove to be a pricey boondoggle, but a new report from Strategy Analytics says that, in some ways, the Apple Watch was actually a huge success. Indeed, for the second quarter of 2015, the Apple Watch represents around 75 percent of the entire world's market share for smartwatches. Smartwatch shipments in general got something of a boost, according to the numbers from Strategy Analytics, as gathered from the report titled “Global Smartwatch Vendor Marketshare in Q2 2015”. The second quarter alone saw five million units shipped, and that represented a 457 percent growth over the same time in 2014, where it was around one million units even. Strategy Analytics director Cliff Raskind noted that it was “...the smartwatch industry's fastest ever growth rate”, and the second quarter of 2015's volume alone represented greater volume than all of 2014, which could only generate just 4.6 million smartwatch shipments worldwide. With this in mind, Strategy Analytics' executive director Neil Mawston could contribute an extra point, noting that Apple Watch shipped around four million units, taking 75 percent of the market share following a launch in 16 major countries. This serves to, as Mawston put it, raise “...the bar for the global smartwatch industry,” and means that the next move is now clearly in the hands of rivals like Samsung. Samsung, meanwhile, is clearly lagging a bit. Strategy Analytics senior analyst Rajeev Nair, noted that Samsung shipped an estimated 400,000 smartwatches, giving it around eight percent of the marketshare. That was enough for second place, but with a huge gap between it and first place Apple. Nair further noted that the only real way for Samsung to narrow that gap was with “...multiple new smartwatch models and apps across dozens of countries” in a bid to take some of the marketshare out of Apple's hands. It would be easy to suggest that the entire market is something of a failure, especially give that in the second quarter of 2015, reports noted that the iPhone 6 and iPhone 6 Plus sold 61.2 million handsets. That wasn't even an all-time record, but it still represents better than 10 times the number of smartwatches sold by the entire smartwatch market. Of course, it's not exactly fair to suggest such a thing given the comparatively early days the smartwatch market is in; after all, the iPhone launched in 2007, meaning the global smartphone market isn't even 10 years old yet. 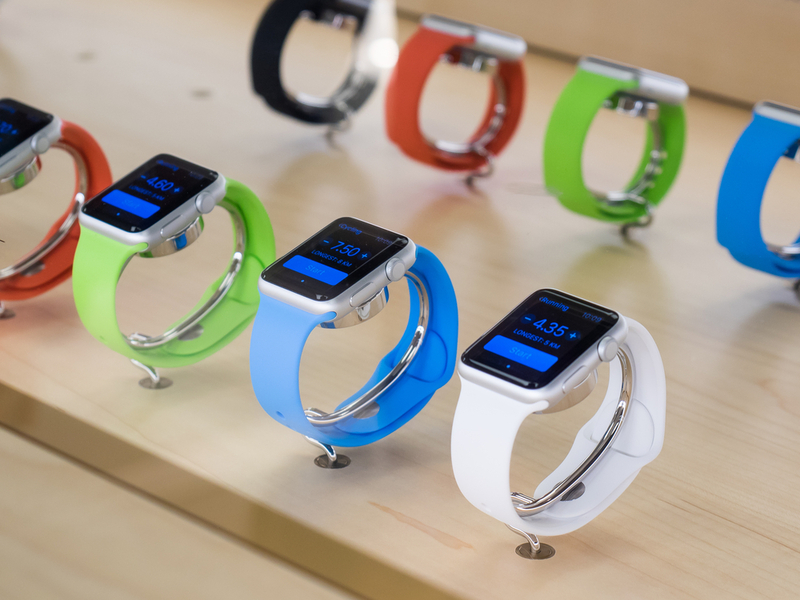 There are certainly gains made here, and that's a positive in the smartwatch's direction. But it's going to take a few more quarters of uninterrupted growth to really get some proper numbers in play here. The smartwatch market as a whole needs, badly, to get its numbers up and make a clear statement that this isn't some flash-in-the-pan fad technology, but rather the start of the next generation of mobile devices. There are some who look to the wearable device—smartwatches included—to take over the mobile market from smartphones and tablets. But the market will have to make some real gains, and soon, to drive that point home.